"Remembering Willy Zimmerer, Victim of the Nazis"
Over the summer Dr. Michael Hayse uncovered a forgotten relative in their family tree, Willy Zimmerer. 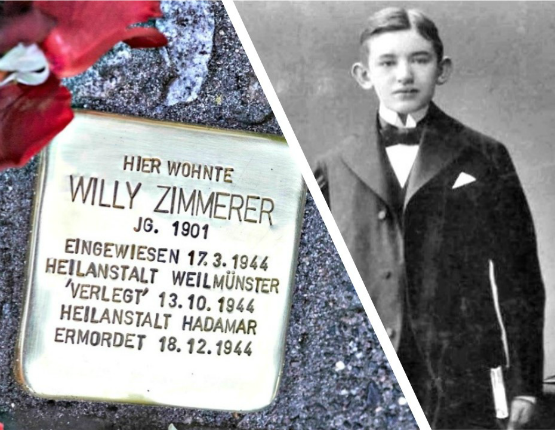 Willy Zimmerer was found to be a victim of the Nazi “Euthanasia” Program. 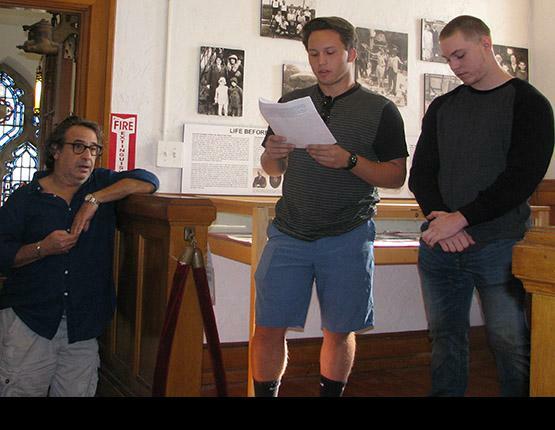 At the exhibit, Lennard Hammerschlag (left) listens to students read his mother’s remembrances of Kristallnacht. 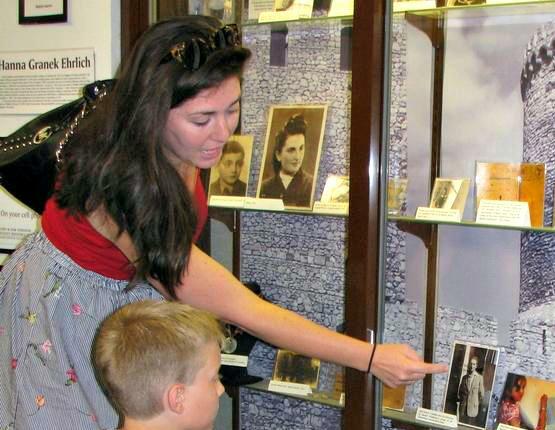 The granddaughter of Hanna & Wolf Ehrlich showing students a photo of her grandfather taken two months after his liberation from Auschwitz Concentration Camp. 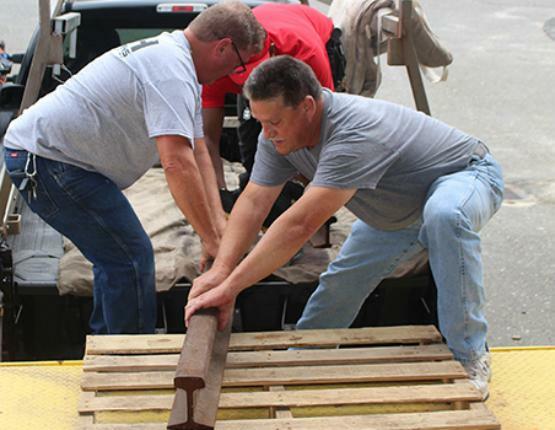 Our Center's railroad tracks were donated to for use in the city’s new Holocaust Memorial Plaza. 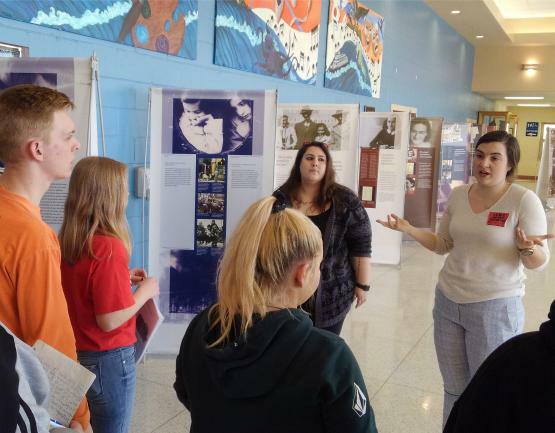 Docent training at Lower Cape May Regional High School sponsored by the Sara and Sam Schoffer Holocaust Resource Center. "Anne Frank: A History for Today" was developed by the Anne Frank House and is sponsored in North America by the Anne Frank Center for Mutual Respect. a project of Stockton University, is located on the second floor of the Stockton University Library. The center is open from Monday through Thursday, 8:30 AM to 6:00 PM and Fridays from 8:30 AM to 5:00 PM. 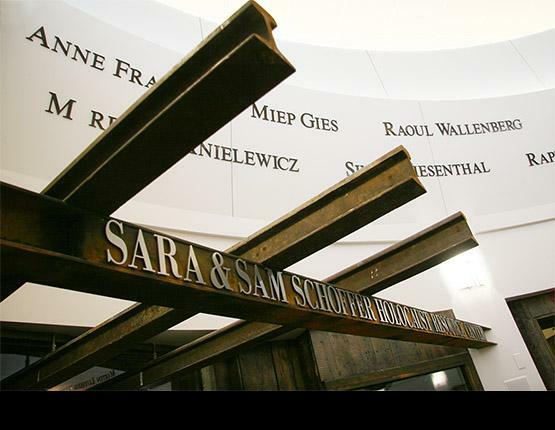 During the summer, the Holocaust Resource Center is closed on Friday. Our facilities are free and open to the public. Guided tours are available by appointment. School groups and educators are welcome! 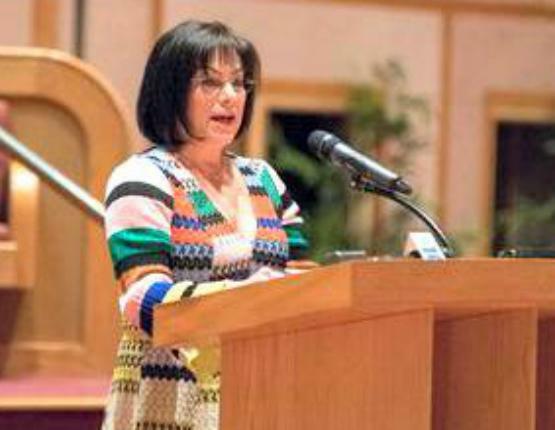 To schedule a tour, or for any other questions, please call Gail Rosenthal at (609) 652-4699 or email gail.rosenthal@stockton.edu. Stockton University offers a Master of Arts in Holocaust & Genocide Studies (MAHG) as well as a minor in Holocast and Genocide Studies for undergraduate students. Stockton Univeristy also offers a Graduate Certificate in Genocide Prevention (GPC).